This is a rectangular Vesta Coal porcelain sign. This particular Vesta Coal sign is predominantly white with black and red print. 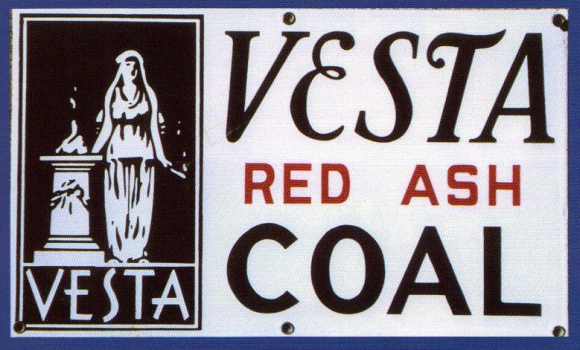 It reads, “Vesta Red Ash Coal” and features a drawing of a woman standing next to an altar on the left side of the sign.